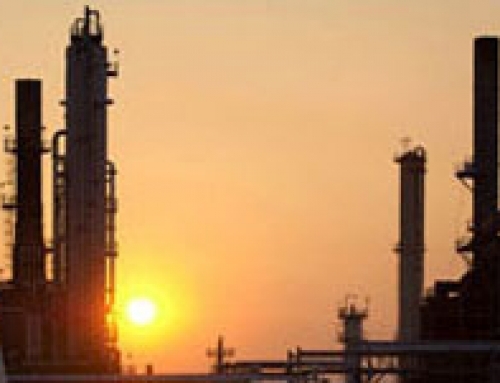 The feedstock crude oil is heated to between 150° and 350°F to reduce viscosity and surface tension for easier mixing and separation of the water. 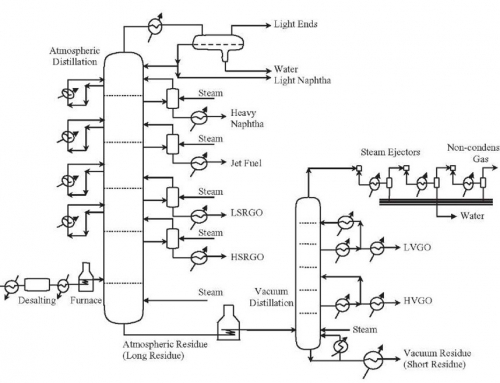 The temperature is limited by the vapor pressure of the crude-oil feedstock. In both methods other chemicals may be added. Ammonia is often used to reduce corrosion. 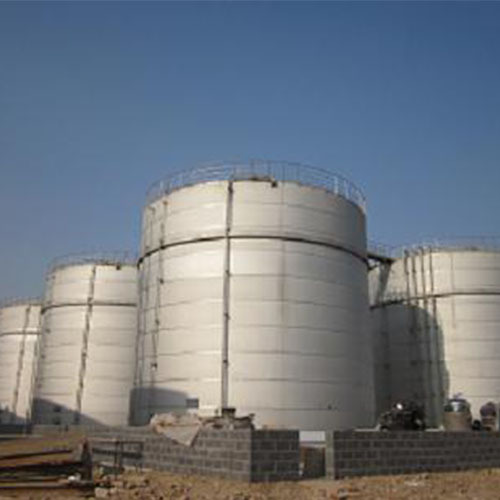 Caustic or acid may be added to adjust the pH of the water wash. Wastewater and contaminants are discharged from the bottom of the settling tank to the wastewater treatment facility. 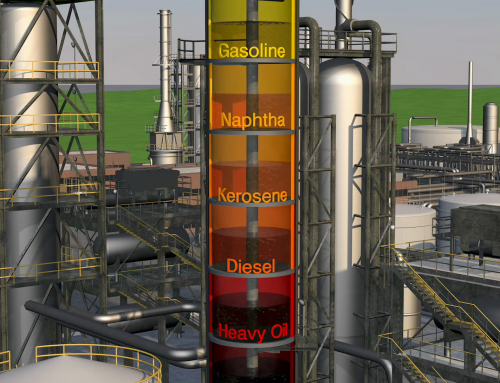 The desalted crude is continuously drawn from the top of the settling tanks and sent to the crude distillation (fractionating) tower. The potential exists for a fire due to a leak or release of crude from heaters in the crude-desalting unit. Low boiling point components of crude may also be released if a leak occurs. Because this is a closed process, there is little potential for exposure to crude oil unless a leak or release occurs. 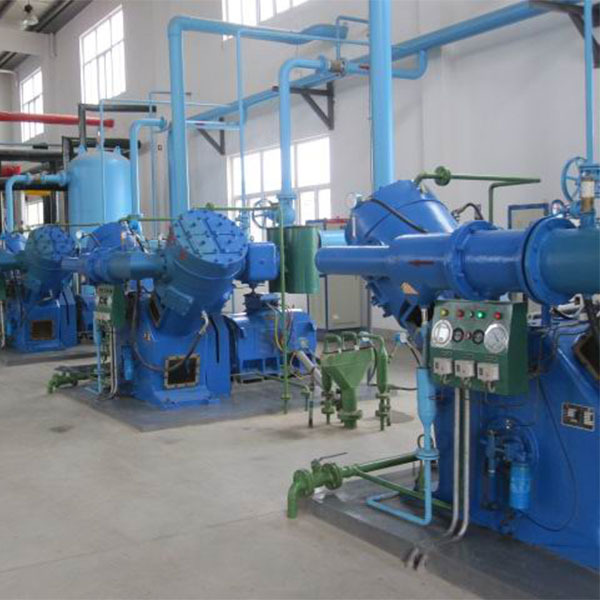 Where elevated operating temperatures are used when desalting sour crudes, hydrogen sulfide will be present. There is the possibility of exposure to ammonia, dry chemical demulsifiers, caustics, and/or acids during this operation. Depending on the crude feedstock and the treatment chemicals used, the wastewater will contain varying amounts of chlorides, sulfides, bicarbonates, ammonia, hydrocarbons, phenol, and suspended solids. If diatomaceous earth is used in filtration, exposures should be minimized or controlled. Diatomaceous earth can contain silica in very fine particle size, making this a potential respiratory hazard. Inadequate desalting can cause fouling of heater tubes and heat exchangers throughout the refinery. Fouling restricts product flow and heat transfer and leads to failures due to increased pressures and temperatures. 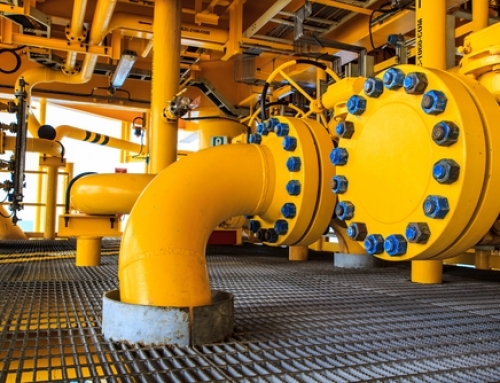 Corrosion, which occurs due to the presence of hydrogen sulfide, hydrogen chloride, naphthenic (organic) acids, and other contaminants in the crude oil, also causes equipment failure. Neutralized salts (ammonium chlorides and sulfides), when moistened by condensed water, can cause corrosion. Over-pressuring the unit is another potential hazard that causes failures.